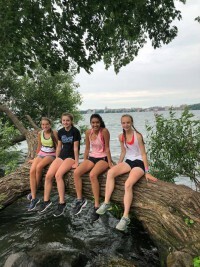 Camper applications are now open for ETC Camp 2019! 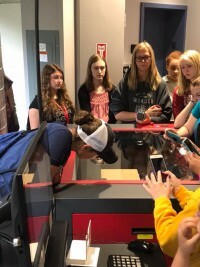 Engineering Tomorrow’s Career (ETC) Camp is a week-long outreach effort open to female high school students in the Midwest. 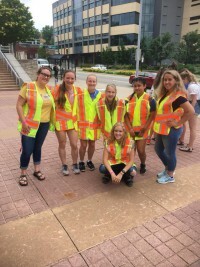 It is run by two SWE officers who are represented by the UW-Madison Diversity Affairs Office (DAO) with support from the ETC Committee, SWE National, College of Engineering Diversity Affairs Office, and Pre-College Council. 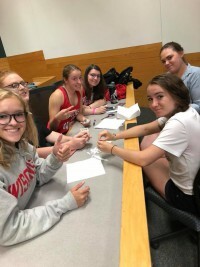 The goals of this camp include giving girls the opportunity to explore various disciplines within engineering, meeting other young women with similar interests, and experiencing what life in college is like. Typical activities include lectures, labs, and tours of UW-Madison engineering facilities. The activities cover nearly all fields of engineering at UW to give campers a chance to find out what interests them the most. Campers and counselors dine and stay overnight in one of UW’s Lakeshore dorms, Dejope Residence Hall, for the week. Although we do not have a schedule yet for this upcoming ETC camp, please refer to last year’s schedule for an outline of what camp will consist of (listed below). APPLICATION: The application is now closed for the 2019 ETC camp. FINANCIAL AID APPLICATION: The financial aid application is now closed for the 2019 ETC camp. Contact Emily and Hannah at etccamp@engr.wisc.edu to learn more about becoming a counselor. 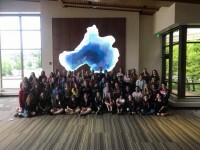 Meet the 2019 Engineering Tomorrow’s Careers Camp Co-Chairs! Hello! My name is Emily LaBorde, and I am a senior in Industrial and Systems Engineering. 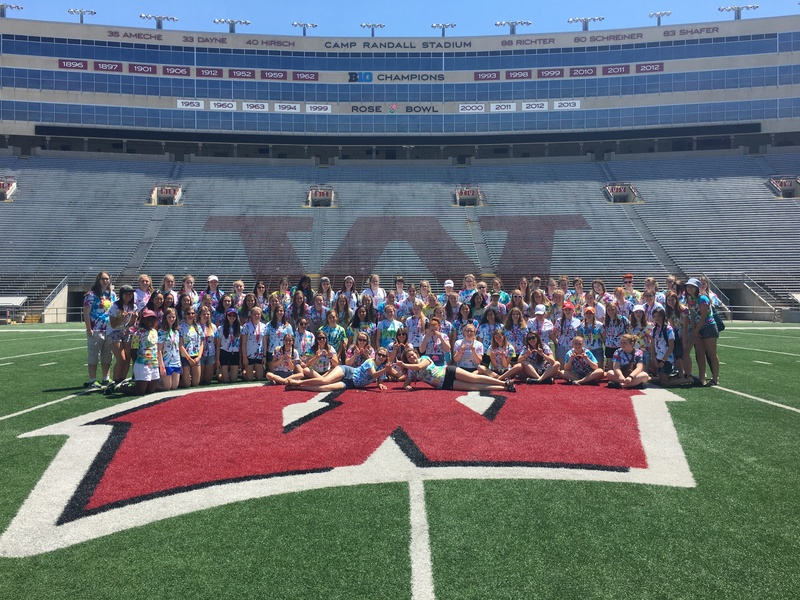 My involvement with SWE started before I was even a student at UW-Madison! I attended the ETC Camp when I was a junior in high school, so I knew when coming to university that there was a community I would feel at home with. I’ve been a counselor of the camp the past three summers now, and am now co-coordinating it. I love SWE and all it has provided for me personally and professionally, and I can’t wait to share my love of engineering with passionate and intelligent high schoolers! My name is Hannah Bachmeier and I am a sophomore studying Chemical Engineering. I joined SWE my freshman year and was involved in the Boeing Tech Team last spring. I was also a counselor for ETC camp this past summer. I love SWE and all the involvement opportunities it has provided and I am so excited for this year! A Look Back at ETC Camp 2018! Thank you to our 2018 ETC Co-Chairs Lily Samuels & Jenna Pavela for your dedication to SWE’s outreach!